On 14 March, 2018, bitcoin price was heading south, impacted by an announcement on its new policy on Google ads. Following in the footsteps of Facebook – Google has announced a ban on all online advertisements that seek to promote cryptocurrencies, ICOs and other financial instruments of a speculative nature beginning June, 2018. The decision is significant particularly because Google’s decision would mean giving up several million dollars in revenue from Google ads. 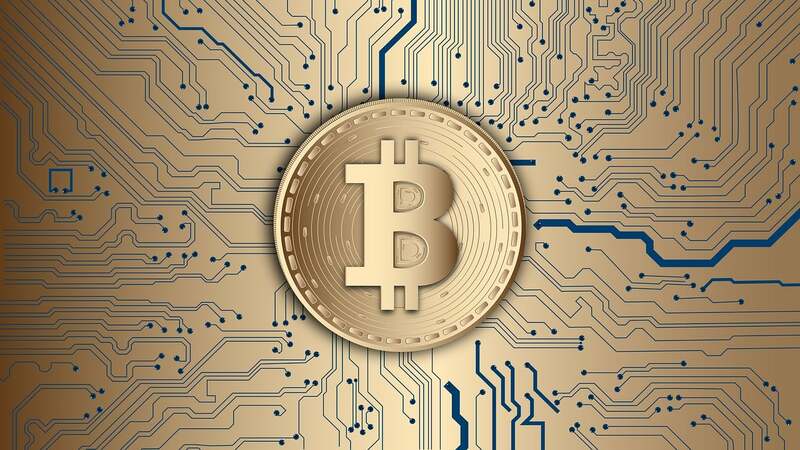 But, Google has stated that in recent times, some aggressive enterprises identified a loophole and misspelt words like ‘bitcoin’ in coining their google ads which was intentional. A spokeswoman from Google also added that the company’s policies will focus on anticipating workarounds like the present one. Google also stated that for 15 years now, it has been engaged in combating fraud, content scammers and malware. Initially bitcoin price showed great resilience and in fact made an up move to $9294.0 before collapsing to $8,690.0 with further movement in the negative trajectory. However, it is important to remember that Bitcoin by far is the only crypto that does not depend on advertisements. It has no marketing department or a CEO and therefore, the significant drop in Bitcoin price today may be a knee-jerk reaction to the Google Ads news. Google has also added that its new policy coming into force from June, 2018 will impact ads on its entire network including YouTube. The new policy will also restrict ads for betting on future movement of foreign exchange and stock prices like binary options or financial spread using non traditional methods. Last year, according to Google, it had removed as many s 130 million google ads that hackers used for mining cryptocurrency. Scott Spencer, director of sustainable ads at Google did not comment on the quantum of potential revenue from google ads that the company is turning away with the introduction of the new policy in June. Facebook has also justified its action on a similar move banning ads about ICOs, binary options and cryptocurrencies though there were many companies advertising these products in good faith. However, Facebook goes on to state that it wants people to keep discovering and learning about new services and products through Facebook ads sans the fear of deception or scams. Facebook’s revised policy on ads has been intentionally kept broad while it works to improve detection of misleading and deceptive advertising practices and enforcement will commence to ramp up across all its platforms including Audience Network, Facebook and Integra. As the signals improve, the company will also revisit its ads policy and the manner in which is enforced. Facebook also added that every advertisement meriting removal may not be noticed by its team and that the community was encouraged to report content that violates its advertising policies. It added that viewers can report suspicious ads simply by clicking the top-right corner of a specific advertisement. According to a recent update to its Financial Services policy, Google will be banning all google ads related to cryptocurrency of every description beginning June, 2018. The announcement comes right on the heels of a significant drop in views for crypto ads using google ads according to the support pages on Adwords. However, in response, Google had denied any changes to its policy relating to google ads on ICOs or cryptocurrencies that could potentially block the google ads. The newly updated policy from Google states that no advertisements relating to cryptocurrencies or related content (including ICOs, Crypto exchanges, Crypto wallets and Crypto trading advice) will be accepted by google ads. According to Google, there has been a significant spike in malicious advertising such as payday loans, and ads that appeared to be system errors, but created intentionally and the ‘fake news’ ads. The company said that a ‘bad ads’ report showed that 3.2 billion ads were taken down in 2017 for violating google ads policies. That is a massive number translating to about 100 ads per second getting dumped and twice 1.7 billion ads that were taken down in 2016 which further dwarfs the 780 million in 2015. Google also pulled down in excess of 130 million ads across 2017 where hackers had inserted code for mining cryptocurrencies like Monero and that is a practice gaining popularity among the cyber criminals. The advertising blitz by the now beleaguered Bitconnect is an example of how investors end up losing piles of cash due to misleading advertisements. Recently, the US Securities and Exchanges Commission has noted that most ICOs are security offerings and subject to registration with the regulator.